The National Council of State Boards of Nursing (NCSBN) is a not-for-profit organization whose purpose is to provide an organization through which boards of nursing act and counsel together on matters of common interest and concern affecting the public health, safety and welfare, including the development of licensing examinations in nursing. Brought to you by Drugs.com, The Drug Guide for Healthcare Professionals is a comprehensive database of medications commonly prescribed in the U.S. and approved by the FDA. Download the free version to see all of our excellent features and content, then upgrade to the PRO version for 700+ multiple-choice questions! Study anywhere with Med Preps NCLEX Test Prep app. Take practice tests with questions that mimic the style and cover the content of real NCLEX Nursing Examination questions. 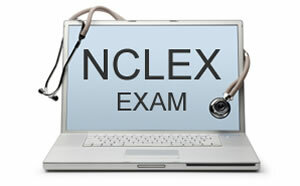 Discover a simpler way to master drug information as part of your NCLEX review. Study thousands of drugs grouped into manageable categories, all with common actions and effects. Quickly access interesting facts about medications that will stick with you as you prepare for NCLEX. Pill Identifier edition is a searchable database which includes more than 10,000 Rx/OTC medications found in the U.S. Search by imprint, drug name, shape and color. Access a wealth of information, including; Drug Images, Description/Indication, Pregnancy Category, CSA Schedule, Strength and Rx/OTC availability. Brought to you by Drugs.com, the Pill Reminder is an incredibly flexible and easy-to-use application. It is not only a pill and refill reminder, but also a comprehensive personal medication record (PMR) app for your iPhone. Medication management. Use the Pill Reminder app to manage any combination of medications, vitamins/supplements and birth control pills. Resuscitation! is the award-winning virtual patient simulator that makes learning medicine addictive! Resuscitation! gives you a case presentation of a patient who is ill, and you play the role of a health care provider. You are in control and can take a history, perform a physical exam, form a differential diagnosis and administer therapy to treat the patient’s underlying problem. You can place the patient on a monitor, start IV’s, perform procedures, administer medications, obtain radiology studies, EKGs, and a lot more. Authoritative consumer health information from MedlinePlus.gov in a mobile-optimized app that includes summaries for over 800 diseases, conditions and wellness topics as well as the latest health news, an illustrated medical encyclopedia, and information on prescription and over-the-counter medications. eBroselow’s SafeDose app takes the math out of medicine. It provides emergency rooms, pharmacies and EMS with clinical content and tracking features that eliminate math and extra steps in drug administration and acute care. This improves medication safety, reduces the cost of care, and improves clinical outcomes.